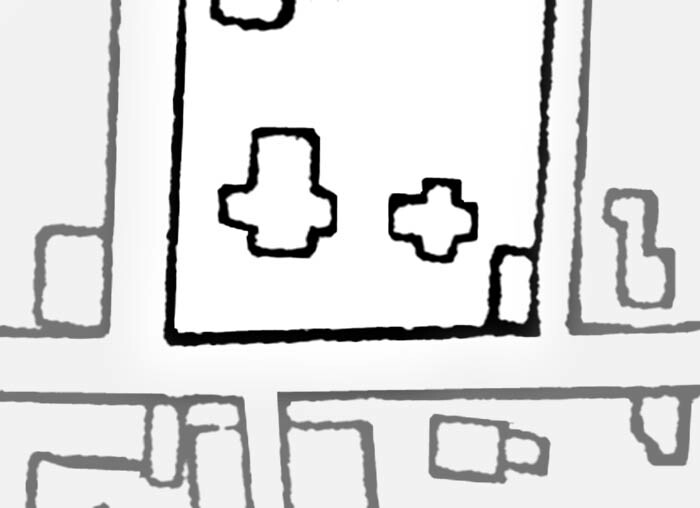 Detail from the 1947 Aerial Photo. 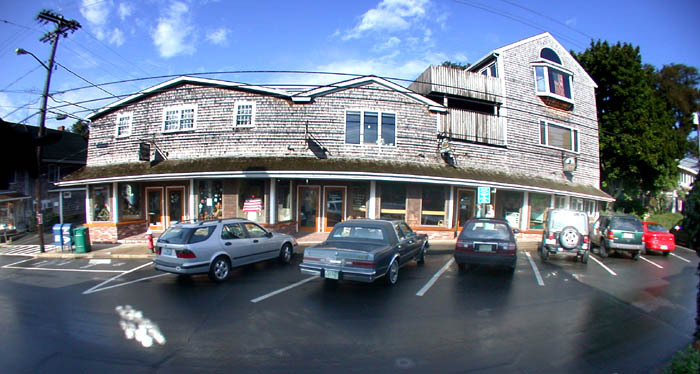 Left-to-right: The Cronig Block (#33), the Bodfish House (#34), and Humphrey's Bake Shop (#35). 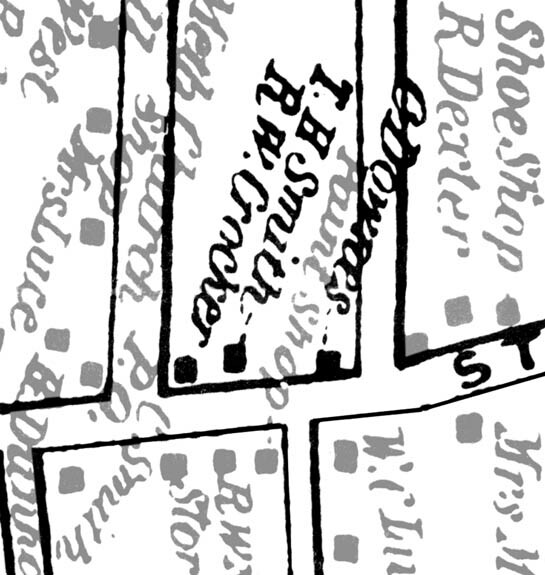 Detail from the 1914 Sanborn Map. 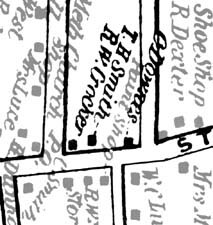 Left-to-right: Castello's Block (The Barnacle Club, Luce's Ice Cream, William Dewey's Lunch Room and Barber Shop, and Alley Brothers' Grocery) (#33), William and Josephine Bodfish's Home (#34), the SBS Bake Shop and the Western Union Telegraph Office (#35). 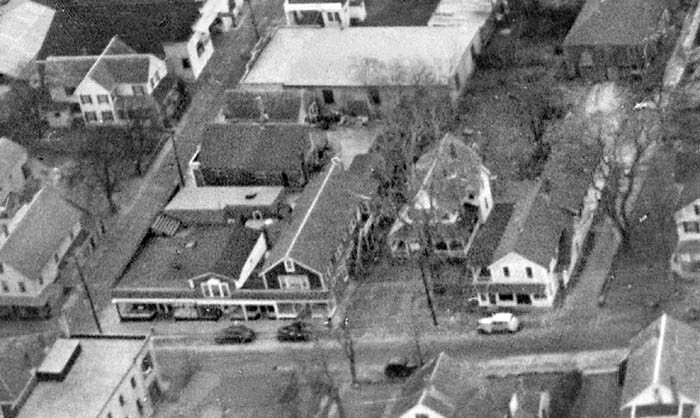 Left-to-right: The Tashmoo (#33), Mary Dunham's Cottage (#34), and Warren Luce's grocery (#35). 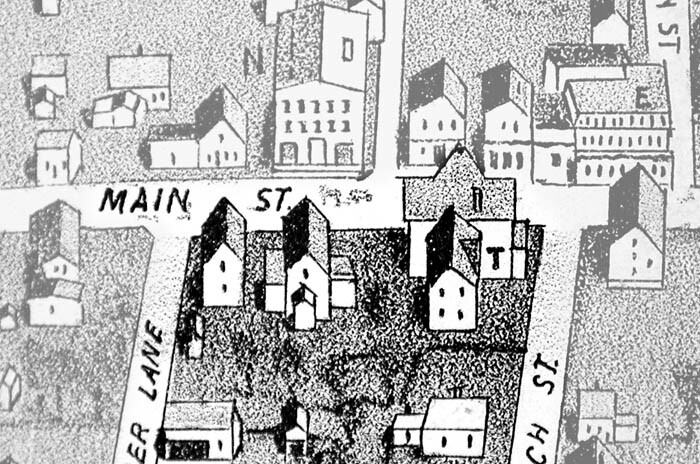 Detail from the c. 1886-87 birdseye illustration by George H. Walker & Co.
Left-to-right: Warren Luce's grocery (#35), Mary Dunham's Cottage (#34), and Mrs. Crocker's Boarding House (#33). 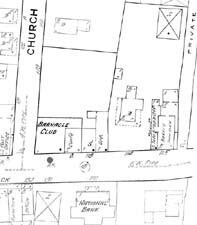 Detail from an 1883 Assessors Map, after the fire. Left-to-right: Mrs. Mary Crocker's double lot (#33), Warren Luce's lot (#34), and Mrs. Mary Dunham's lot (#35). 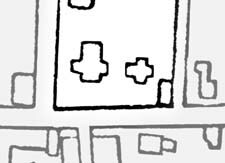 Detail from an 1873 Assessors Map, before the fire. 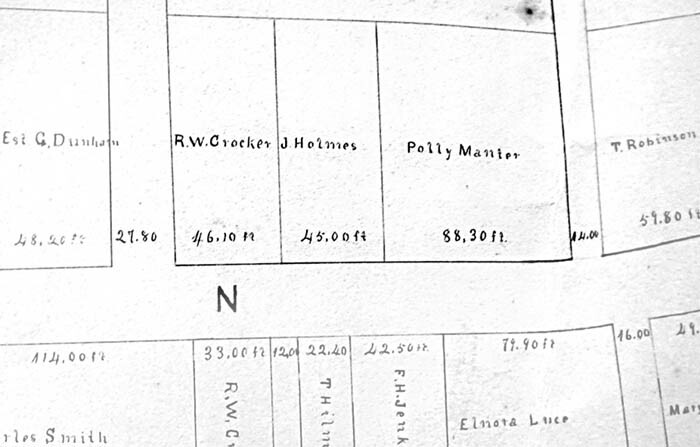 Left-to-right: R. W. Crocker's home (#33), John Holmes' home (#34), and Polly Manter's home (#35). 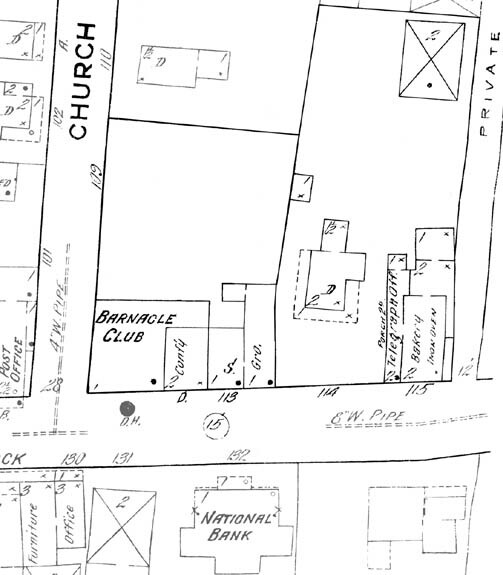 Left-to-right: R. W. Crocker's home (#33); Thomas Harlock Smith Jr.'s home (#34) and Charles Downs' home (#35).